Bonne année! And good riddance to you, 2016. It’s been a complicated year, one with high highs and low lows, a roller coaster of epic proportions. However rather than dwell on all the details of the past, let’s celebrate Beauty Is Boring style with two new looks for you to consider for New Year’s Eve. First up is a look inspired by the amazing pale green wig that Bobby Eliot casually pulled out of his kit. 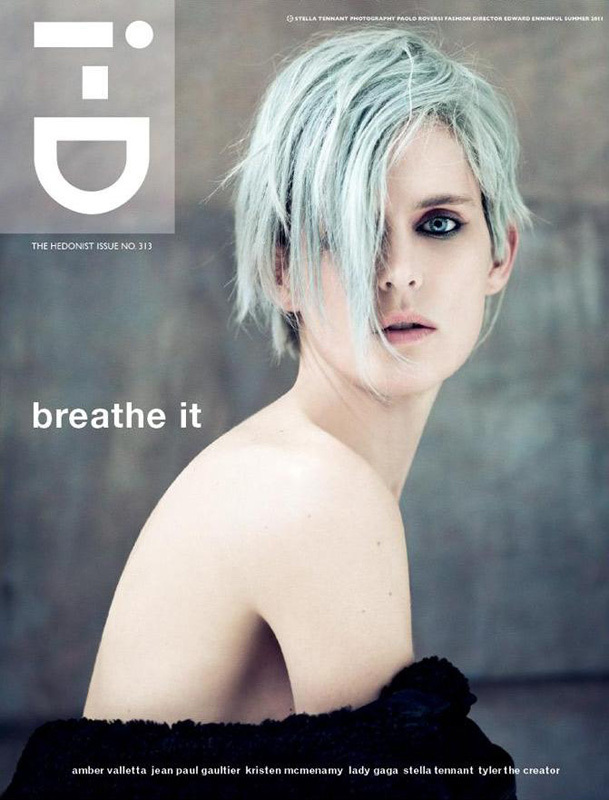 I have always been crazy for the 2011 i-D Magazine cover featuring Stella Tennant. Her hair is a bit more blue in those images but there is that same sense of artfully faded color. In a happy coincidence, a box of Lemonhead’s Spacepaste arrived the morning of our shoot, including an aqua colored glitter called Private School which paired perfectly with the wig. I wanted the look to be more futuristic ocean punk than glam mermaid so I skipped mascara, eyeliner and just blotted a warm rose color over the lips / cheeks for a slightly deconstructed vibe. Look two is straight up American glamour à la Jerry Hall at Studio 54. Bouncy brushed out curls, lacquered red lips, blush on the cheekbones and temples, exaggerated lashes and of course, a liberal wash of Pat McGrath’s Metalmorphosis 005 gold around the eyes. Perfect for a night spent on the dance floor (extra points if there is a disco soundtrack!) or anyplace where champagne is sure to be involved. Note: While we were in the studio, Emily Ruhl (the stunning model in the images above) let slip that she had just finished filming a major part in a upcoming movie… keep an eye out for her debut role!